The opportunity to build relationships is Devin’s favorite part of being a financial advisor. 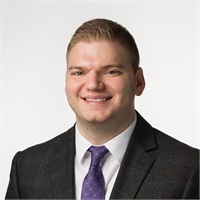 Focused on personalized and comprehensive financial planning, he strives to provide clients with a high level of service and considers the trust bestowed upon him to be an honor. Devin has obtained several professional registrations including the FINRA Series 6 and 7 General Representative Registrations, the Series 63 Uniform Securities Agent, and the Series 65 Uniform Investment Adviser Law Examination, held with LPL Financial. He also holds a Life, Annuity, and Variable Contracts insurance license with the State of Virginia. Devin enjoys spending much of his time with his wife Jenna and their son Benjamin. He is an avid sports fan and spends time playing basketball and helping coach a youth basketball team. Devin also spends time volunteering among the local youth program for his church as well as volunteering with a local Boy Scouts of America troop, through which he is also an Eagle Scout. Securities offered through LPL Financial, member FINRA/SIPC. Investment advice offered through Colonial River Investments, LLC. a registered investment advisor. 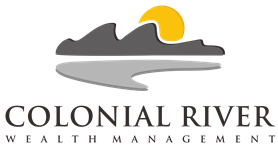 Colonial River Investments and Colonial River Wealth Management are separate entities from LPL Financial.